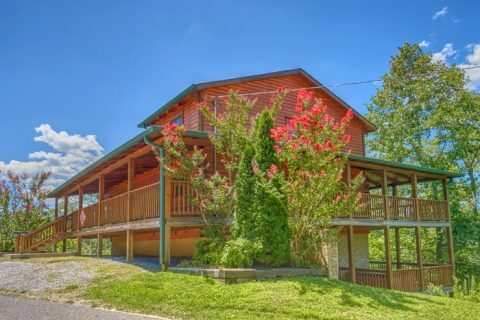 Discover "American Pie 2," a lovely log cabin close to Gatlinburg and Downtown Pigeon Forge, TN. 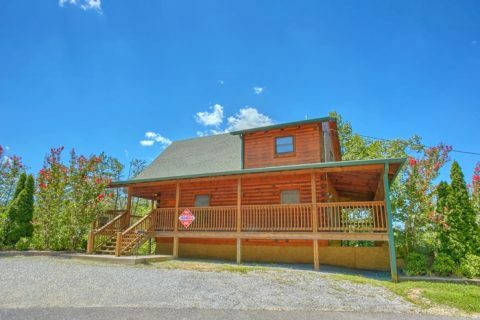 Located a short drive from the Pigeon Forge Parkway at traffic light #10, this Smoky Mountain cabin grants guests access to seemingly unlimited entertainment downtown. 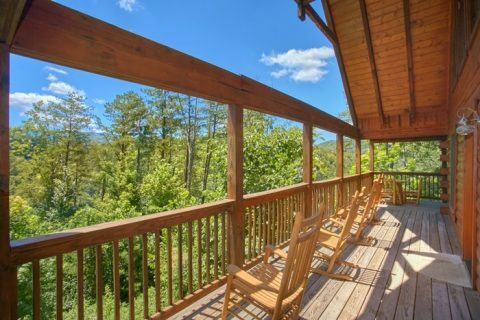 With great attractions like Dollywood Theme Park and The Island, it's hard to imagine vacationers running out of things to do in this part of the Smokies. 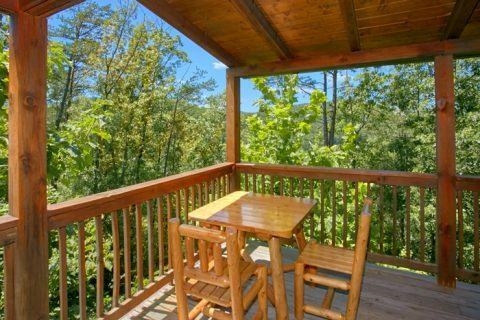 This two bedroom cabin close to Gatlinburg also offers quick access to other attractions like Ripley's Aquarium and the Space Needle. Your cabin near Gatlinburg, TN sleeps 6 guests in comfort. 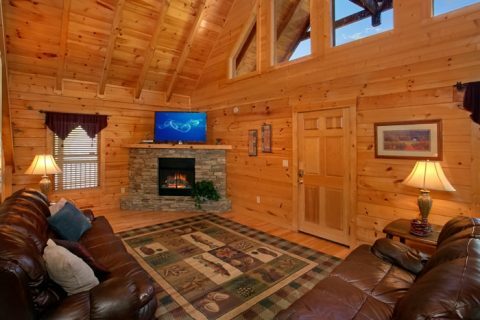 Inside this spacious cabin, you'll find great amenities in the main living room with a seasonal stone fireplace, television, and comfortable furnishings. 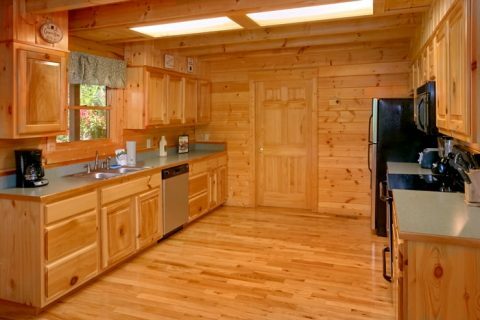 Also on the main level is a fully-equipped kitchen with all the basics that you need for cooking great meals in your cabin. 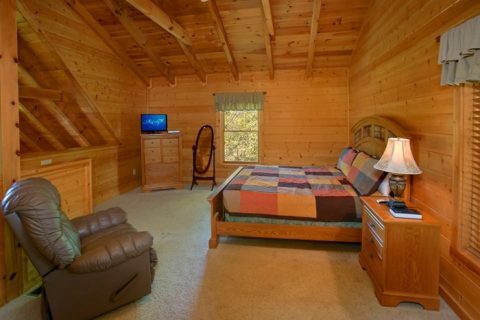 In the main bedroom loft, there is a king bed, television, and private, full bath. A futon provides great additional sleeping space for the kids. 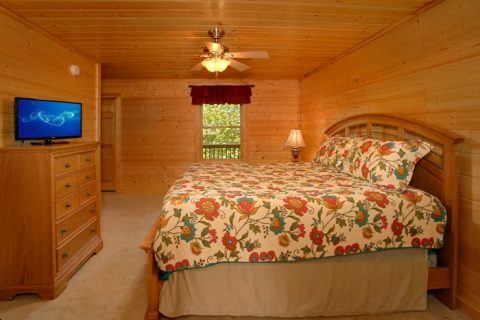 There is also a downstairs king-size bedroom with a bathroom and television as well. 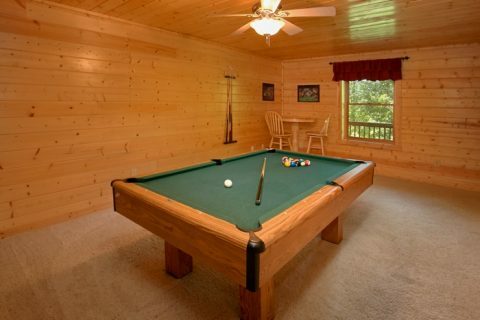 A game room on the bottom floor boasts a pool table where you can enjoy round after round of family fun. 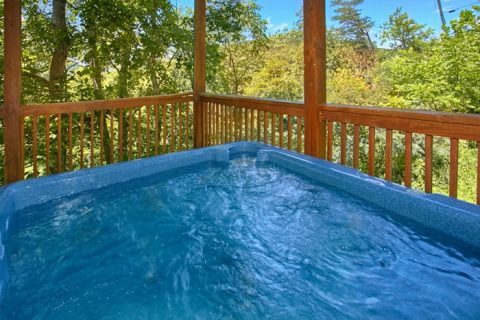 Outside on your cabin's porch, you can enjoy great views from the soothing waters of your hot tub. 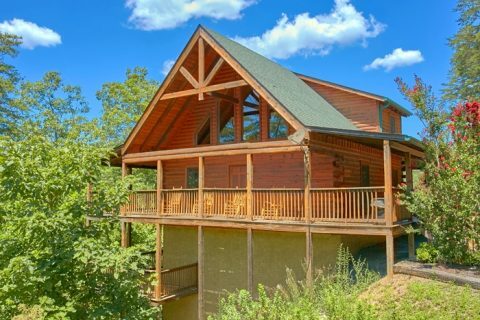 Your cabin is close to "American Pie," a nearby cabin that sleeps 4 guests. 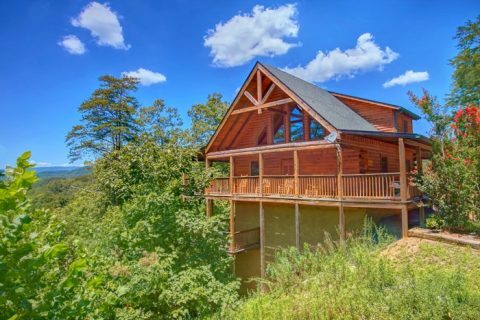 For a comfortable group vacation, consider booking these two rentals together for fun gathering of friends and family in the Smoky Mountains. 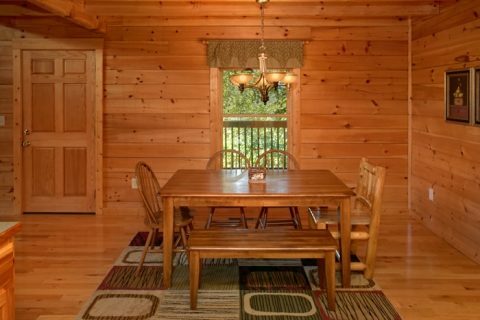 Don't forget that when you book online with Cabins USA Gatlinburg you will earn a 15% discount on your lodging!